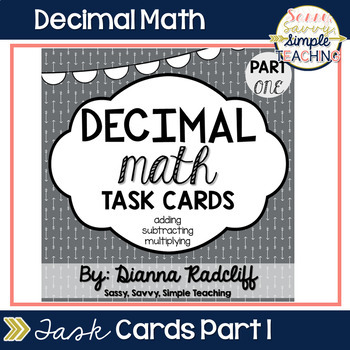 The set includes 36 task cards for students to practice adding, subtracting and multiplying decimals. 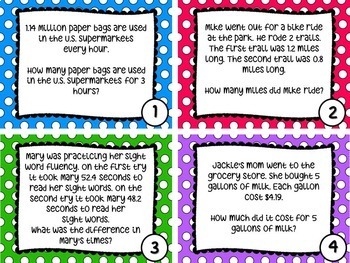 Each task card is in a word problem format. 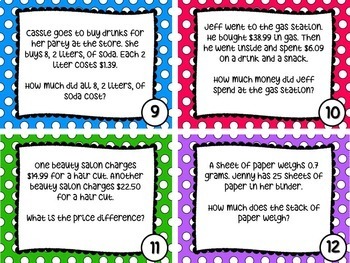 The set includes an answer sheet as well. 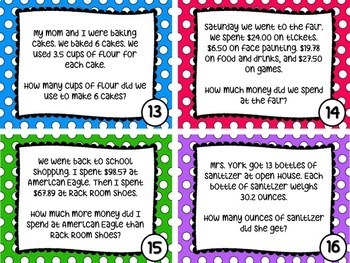 This can be used during Guided Math, Math with a partner or Independent Math. Simply print, (back if you want), cut and laminate!